I have been so excited to share this with you! 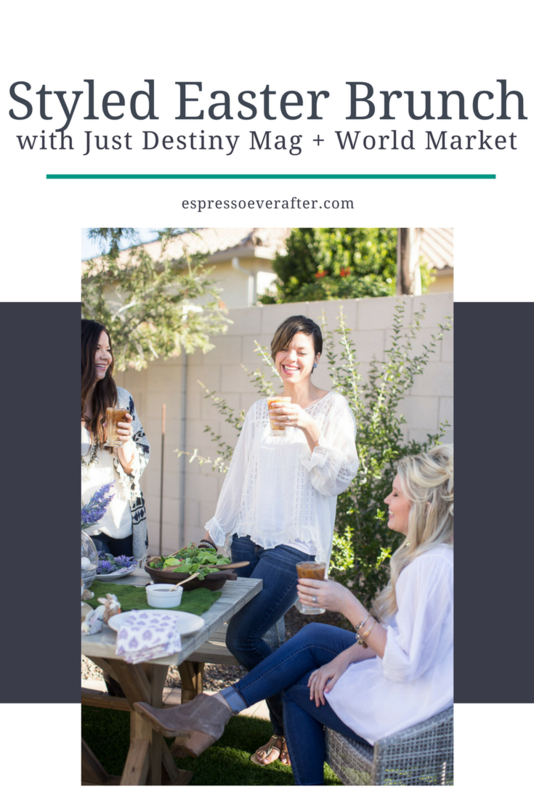 I was honored with the opportunity to model on a Just Destiny Mag and World Market Styled Easter Brunch collaboration. It was a fun filled day of watching the talented Destiny work her magic with fabulous pieces from World Market. 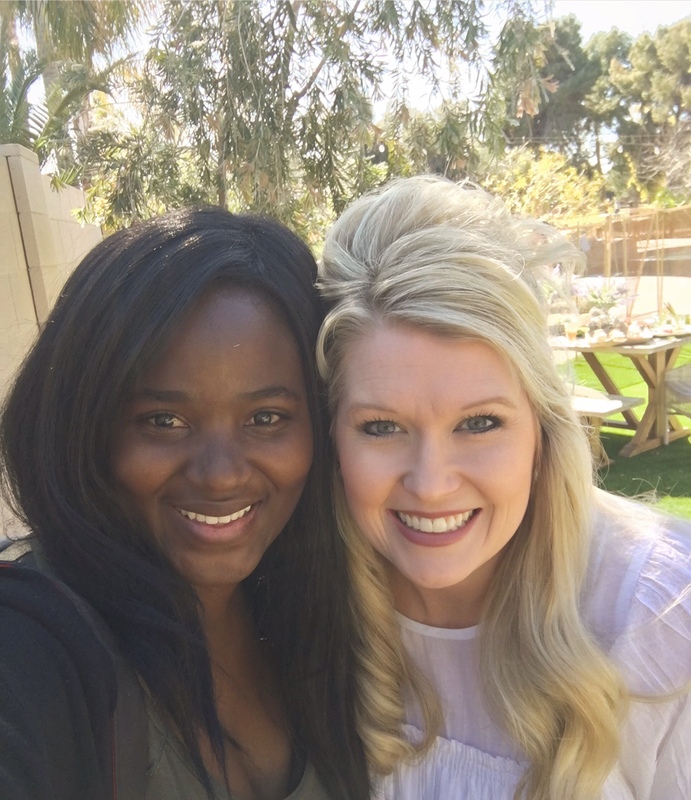 I was able to test out all of the yummy recipes, indulge on the eye candy that is the decorations and learn from the best when it comes to designing a themed tables-cape. Destiny has every aspect covered for your Easter brunch from one-of-a-kind recipes, matching decor, bunco cards/gifts and so much more. 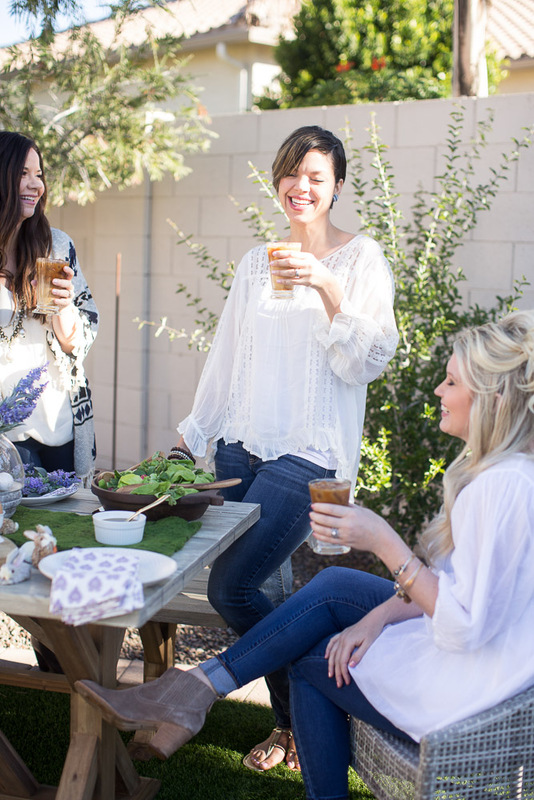 Thanks to Destiny and World Market we can all throw an Easter gathering that is one for the books! If you are not familiar with Just Destiny Mag let me spill the beans. Destiny is a lifestyle blogger, designer, wife to her Mr. Right, mom of 3 and a sweet friend of mine since high school. She lives her life rooted in her faith and gives God all of the glory. Check out her online publication HERE and get ready to drool over all of her creative projects. Destiny is the master of all things creative and photography. 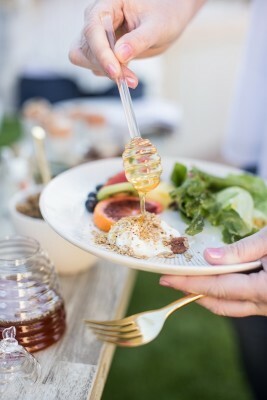 Not only did she conceptualize and bring to life her brunch design and setup, she also captured it beautifully as the photographer. Talk about talent! 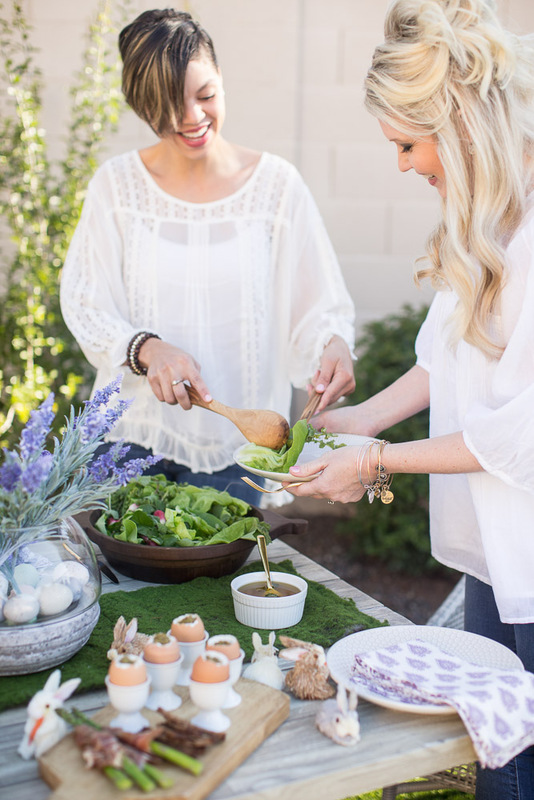 Click HERE to learn how to utilize all of Desinty’s tips to host your own Easter event at your home featured on the World Market Blog, Discover. Hint hint… Look closely for my hand modeling debut, haha. Destiny has a fabulous eye for style, colors and themes and this table-scape is spectacular! 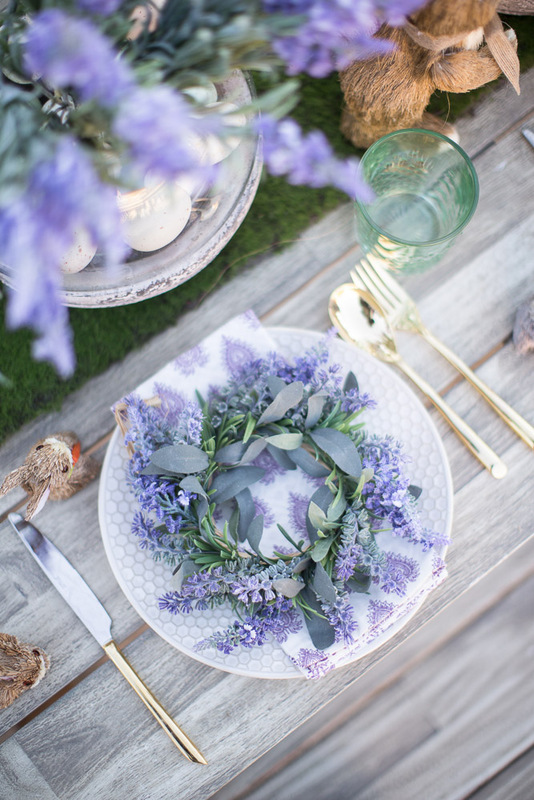 She found all of the gorgeous pieces at World Market, so you too, can recreate this look for your upcoming celebration. Click HERE to see Destiny’s beautiful brunch table inspiration featured on the World Market Blog, Discover. 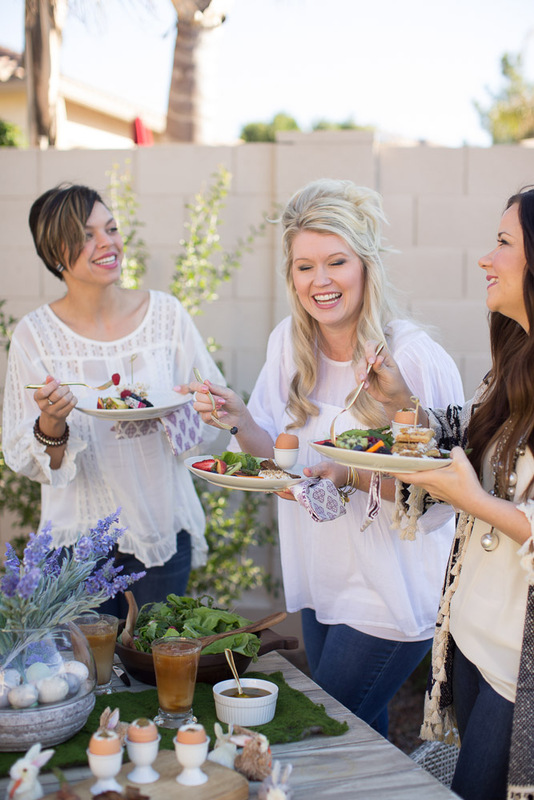 Hint hint… you might see a photo of me laughing it up with some lovely mamas! 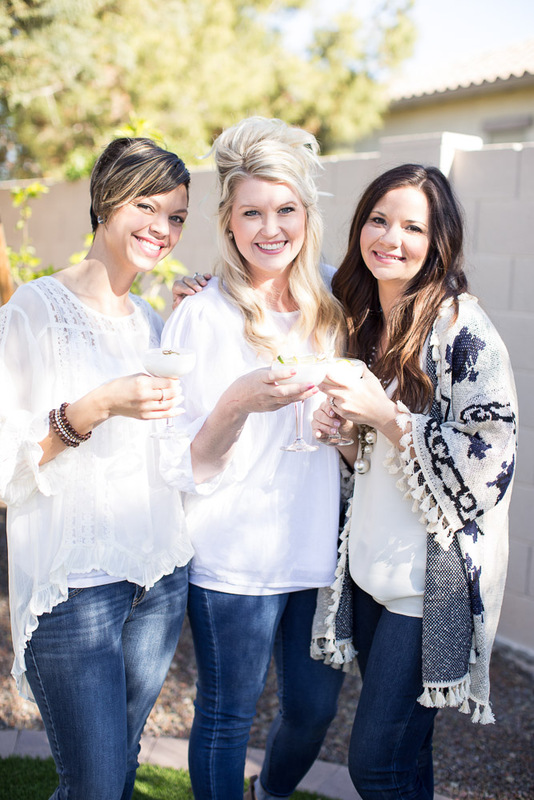 There were two other fabulous ladies behind the scenes on this shoot, styling all of the decadent food and beverages. Yes food and drink styling is a real thing, and I can never look at food the same way again. These ladies have a fabulous and creative job! Joanna from, Baked By Joanna, styled all of the food for this shoot and I never realized how good food can look until I watched her do her magic. Food styling is such an amazing tool and she is one culinary creative! Click HERE to see her beautiful, edible masterpiece featured on the World Market Blog, Discover. Hint hint… if you can’t tell from the photo I fell in love with the Glass Honey Keeper with Dipper. 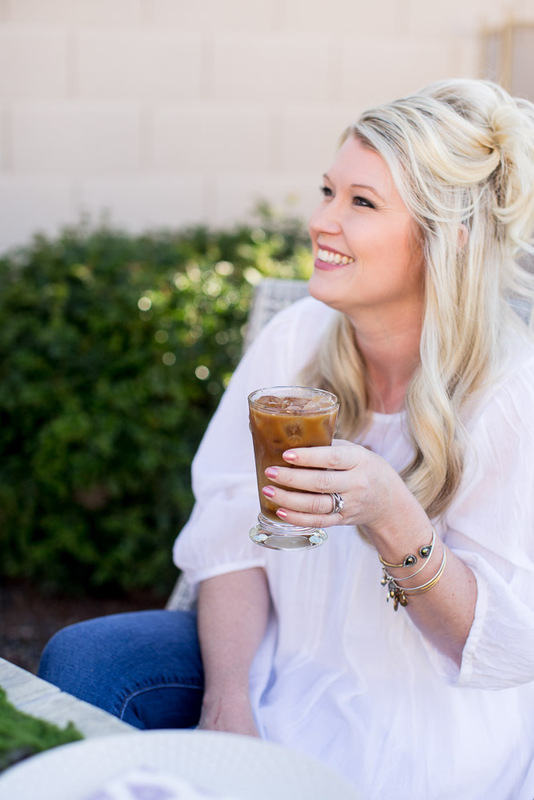 The lovely Laurel from, Sweet Laurel Blog, created two fabulous drink recipes that are so simple to make and look fabulous. You, too, will want to mix them up to share at your Easter brunch. Laurel created a dreamy cocktail and a caffeine inspired cold brew. As you will see both drinks present amazingly and trust me, they taste as good as they look! 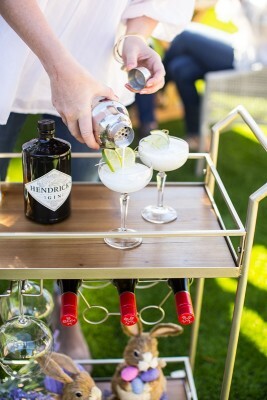 Click HERE to see her Coconut Lime Gin Fizz and click HERE to see her Coconut Cold Brew Coffee Recipe, both featured on the World Market Blog, Discover. BONUS: Did you know that World Market sells the most beautiful clothing, scarfs and accessories? Well they do, and their items are fabulous! You can find my World Market white blouse details HERE. Thank you Just Destiny Mag for the honor of modeling in one of your stunning photo shoots, and for all of these beautiful photos! Make sure to visit World Market for all of your Easter needs! this is the cutest little brunch set up! Anytime with girlfriends is the best! You look gorg!! Thank you Chanel – As usual, you are too kind! Everything looks perfect! 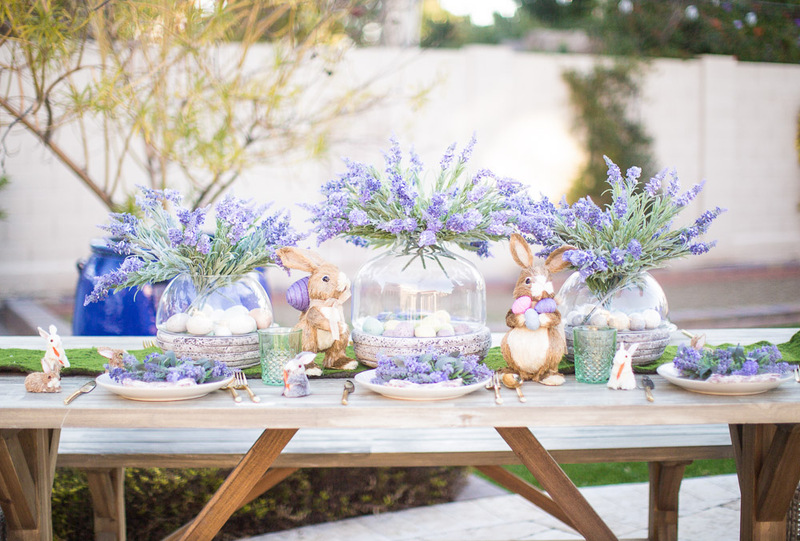 And totally makes me want to host an Easter brunch! Right, it reminds you of how beautiful Easter is! Haha! I know right, I should have been a hand model – LOL!!!!! Thank you Eryka! Destiny is amazing with photography! Number 1 you look gorgeous! Second this is the most adorable brunch setup!!! The details are just perfect.